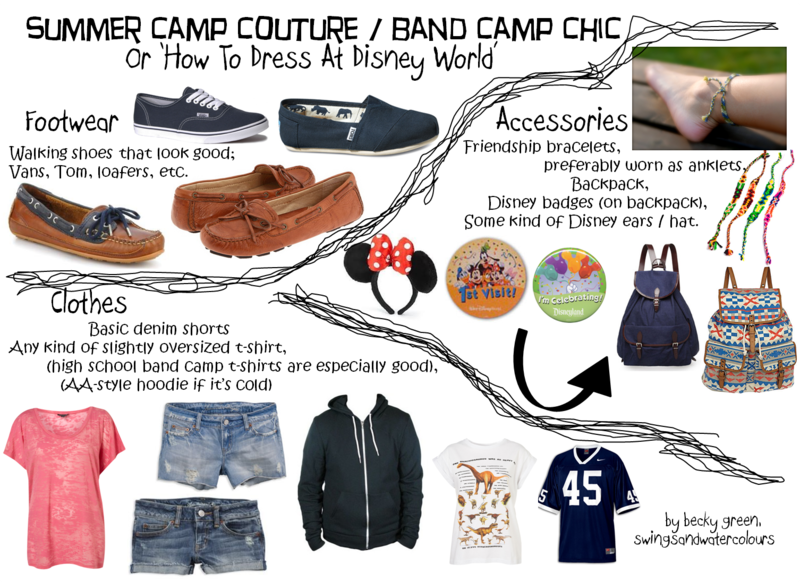 this is all i ever saw teenagers wearing when i was at disney world. i felt out of place in my primark pumps and frilly socks haha. i mostly made this for myself because i always seem to be over/under-dressed at places like this, so this'll remind me. this is an easy, simple way to dress there, basically. you want to be able to walk around all day (hence the comfy shoes) but also not look like you're going on a hike or something.